Referral rewards are a thank you to customers who have successfully referred their friends. They’re also something to accelerate that referral in the first place. Guess what? The first point really isn’t important. If the referral was going to happen anyway, a thank you is nice, but it’s ultimately unnecessary. Rewards should be designed to trigger actions that wouldn’t happen on their own. You’re rewarding referrals, but referring isn’t the action rewards should be designed to trigger. The actual action is sharing with a friend; whether they go on to convert is largely down to the incentive (see below). 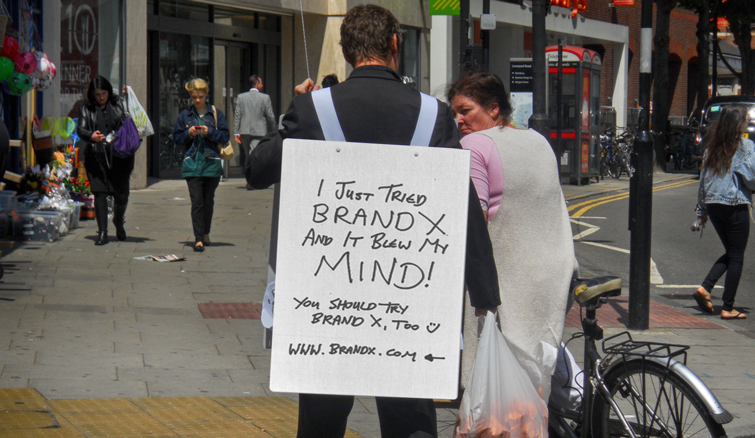 In an ideal world, everyone would walk down the high street with a sandwich board strapped to their shoulders, proclaiming their love for the hot new Brand X they’ve discovered. But, in this world, a little inertia-zapping goes an awfully long way – and that’s where rewards come in. There’s a secondary benefit that’s almost as important: rewards foster loyalty – in two ways. First, emotionally. The customer scratches your back, you scratch theirs and, the next time they go shopping, you’re more likely to be destination number one. And, secondly, practically. More often than not, rewards take the form of money off subsequent purchases, and that fosters loyalty in a very literal, retail-specific way (see below). So, what rewards work best when it comes to motivating people to share with their friends? Well, this might sound obvious but, besides the sheer feel-good sensation of introducing your friends to something you hope they’re going to love, the best rewards are rewards people want. Not rewards people think they might want some day in the future. Not rewards people think other people might want. But rewards they themselves want – right there, right then. No one’s going to refer a friend in the hope of getting something back six months down the line, and that’s why money off subsequent purchases, account credit and loyalty points are a bad idea if your average customer only occasionally shops with you. If, for example, you sell cars or mortgages or lengthy mobile phone contracts, it’s significantly more effective to offer something which referrers can get their hands on and use more immediately, such as third-party gift cards or vouchers redeemable at marketplace retailers like Amazon or media stores such as iTunes and Google Play. However, if your customers shop more frequently with you, then savings against future purchases are often ideal. That’s why it’s something we often see in the fashion, beauty and grocery sectors, as well as within industries such as online gaming and app-based services such as taxi hire. Remember Uber’s money off your next ride for referring your friends? That’s what we’re talking about. Why are savings against future purchases so ideal? Well, first your referrers get the (relatively) instant gratification they crave but, secondly, any margin you forgo is offset against the increased likelihood of repeat spend. Sure, you’re giving away £x or y% but, unlike with third-party gift cards (where you’re driving future spend away to another retailer), you’re keeping the customer’s spend in-house. According to a study across all Buyapowa clients, customers receiving money off their next purchase as a referral reward are over a third more likely to shop within the following three months than regular customers. Customers receiving money off their next purchase as a referral reward are over a third more likely to shop within the following three months than regular customers. Speaking of £x and y%, which is the better variant to offer? Cash savings against a referrer’s next purchase or a percentage discount? Once again, that depends – this time not on how often your customers shop with you, but on how much they tend to spend, your variety of products and many other factors. There’s a lazy theory in the world of referral marketing that everything boils down to the Rule of 100s: if your average customer spends over £100 (or dollars, or euros, etc), then it’s better to offer your referrers set cash amounts off their next spend. However, if the average spend is less than £100 (etc), then percentages are more effective. At its root, there’s some sound psychology at play here: £50 off £500 does feel meatier than 10% off. But, while it may work for retail in general, it’s a crude and reductive rule way to determine how to present referral rewards. The next two points explain why. First, your average order value is just that – an average – and some customers are going to spend significantly more. 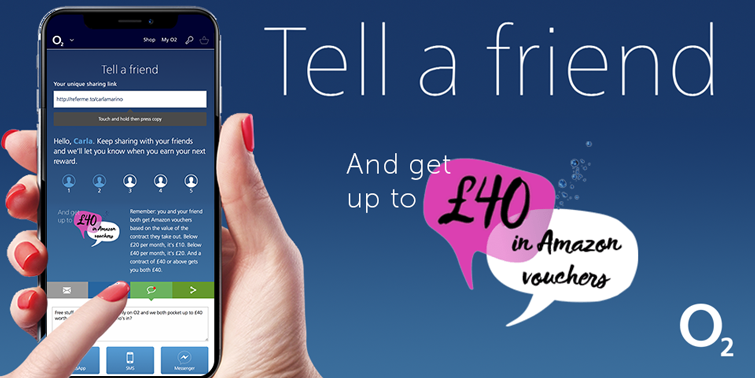 Sticking with the above example, £50 off might sound great to a customer who’s thinking of spending £500, but what about one who’s about to drop five grand? It’s derisory. So, are fixed cash amounts really always best when your AOV is greater than £100? No, not at all. Conversely, customers are savvier than they used to be, and the year-round discounting which has permeated modern retail has inured them to the attractiveness of percentage discounts. While 20% off may represent a sizeable saving, we live in a world where 50% off is commonplace and even 90% off is by no means unusual. That’s where cash savings suddenly become more attractive on a psychological level, because £10 is a real thing – you’d put it in your wallet and feel £10 better off for having it – but no one ever bought a coffee, a cupcake and a copy of Cosmo with 15% off. When choosing rewards, always ask yourself: would I want this reward? If the answer’s no, then think again. Because thousands of potential referrers are overwhelmingly likely to think the same. We’ve discussed money off subsequent purchases and third-party gift cards (collectively, the most widely offered forms of reward), but what about gifts with purchase, account credit and bonus loyalty points? They’re slightly less commonplace, but no less effective – providing they’re deployed correctly. Let’s start by talking about gifts with purchase. These are ideal rewards if your business is averse to discounting. Instead of taking money off a spend (and potentially devaluing your brand or products), gifts with purchase allow you to add value. This is something we often see on the more luxury side of retail, where high-value products are sold or where bundling or upgrades are appropriate. 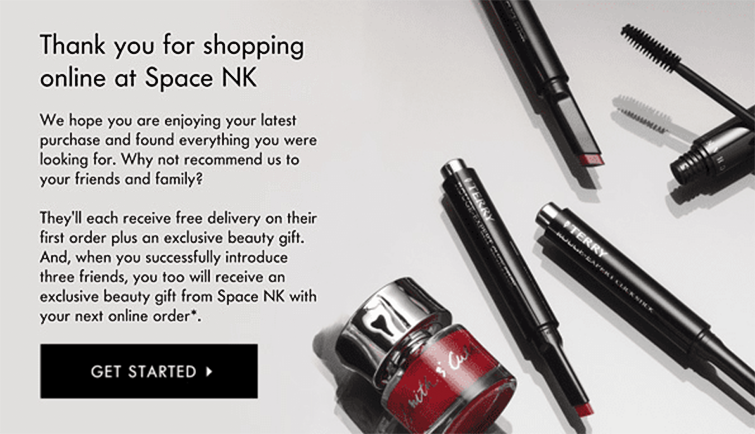 Gifts with purchase are especially effective when the gift is exclusively available to referrers: a special shade of lipstick, unique downloadable game content, or even tickets to events such as runway shows or advance pre-sales. These often have low cash value but very high value of a more compelling kind and, as such, they make ideal rewards for brands whose shoppers are as much fans as they are customers. There’s no reason why gifts can’t be offered without requiring an additional purchase but, unless these gifts can be digitally fulfilled once the referral is confirmed, stand-alone shipping costs tend to render this option less cost-effective. Account credit and loyalty points (their redeemable cousins), are the holy grail for savvy referrers because, while cash savings are usually offered via coupon codes which are rarely stackable, credit and points can generally be accrued over time. While account credit and loyalty point are arguably less cost-effective for the brand (credit generally doesn’t carry a minimum spend, and that stackability stalls the uplift in frequency of shop discussed above), they do have one big advantage over money off: they tend to encourage multiple referrals per customer. 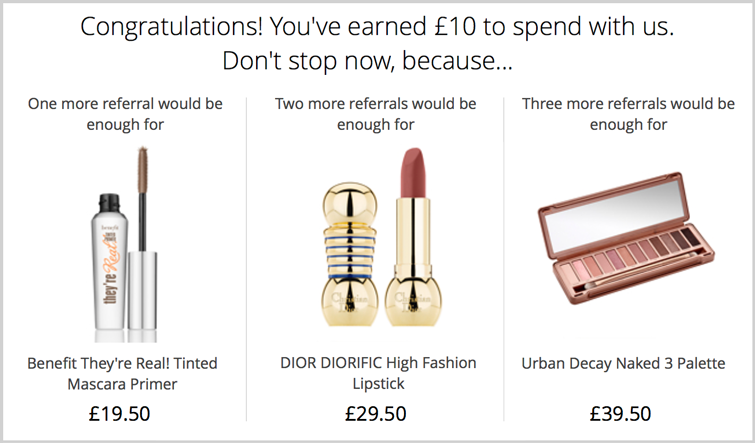 £10 off your next shop is nice to have, but £50 accumulated over several referrals might be enough to purchase something significantly more desirable. Every brand is different and every audience is different, so there are no hard and fast rules when it comes determining to the value of referral rewards. But a good place to start is 60% of the CPA you would traditionally spend via other marketing channels. That’s where testing comes in. Run a series of A/B tests, so that you can identify the perfect balance between engagement and cost efficiency. You may find that lowering the reward barely decreases the number of people sharing with their friends. Alternatively, you might find that a small increase in your referral rewards has a minimal effect on your bottom line but greatly improves participation. Whatever you’re offering, it’s critical that it’s unique and special – that it actually has value. Naive brands sometimes attempt to run referral programmes like in-house affiliate channels, offering customers who introduce their friends the exact same offer they could easily track down via a quick Google and a click-through to an online voucher repository.That always backfires. Sure, there’s an immediate saving to be made, but all the goodwill engendered by scratching the back of someone willing to scratch yours evaporates the moment they realise you’re trying to pull the wool over their eyes. You might achieve a few referrals from advocates who don’t notice that their reward is essentially fools’ gold, but your programme will quickly peter out. Try to make the value of your reward concomitant with the value of the acquisition. If someone refers a big-spending friend, give them a bigger reward than someone who introduces a friend with less deep pockets. 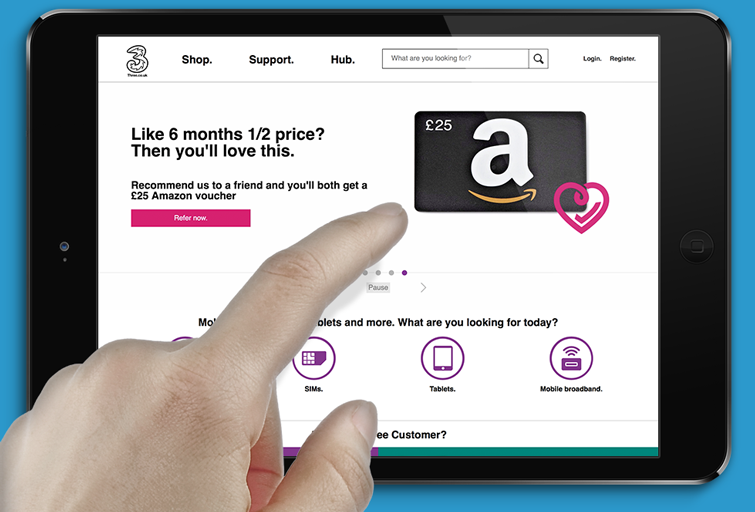 You can even automate this, as the mobile network O2 do – awarding different grades of reward depending on the value of contract the referred-in friend purchases. Similarly, try routing different types of referrer into different parallel programmes, each offering appropriate rewards. We’ve seen brands achieve tremendous success by running exclusive referral programmes for the friends and family of their own staff, or for their most valued customers / most successful referrers. Special super-ambassador programmes like these, with even more attractive rewards, are often highly effective – especially if customers can graduate from the regular programme by introducing a target number of friends. Friend incentives are there to do one thing: ensure that, when a friend clicks through from a referral, they continue their journey and, ultimately, shop. For that reason, incentives generally take the form of money off the friend’s imminent spend. Are you running a referral programme to boost your sales or your acquisitions? If it’s the former, you may not be so concerned about lapsed customers (for example) returning to your site and shopping, and that may be worth incentivising. But, if it’s the latter – and it’s crucial to you that all referrals are brand new customers – be sure to cross-reference the friend against your existing database before handing out incentives.A good referral platform will automate this process for you and, as with Zizzi’s refer-a-friend scheme, may even assign different incentives depending on the nature of the referred-in customer (new / lapsed / frequent, or any other relevant segments). Do you want your referral programme to boost your leads as well as your acquisitions? If so, instead of immediately revealing a voucher code whenever a friend clicks through from a referral, ask for their contact details (along with a marketing opt-in), then email or SMS it to them. Do you want referred-in customers to shop online, on their phones or even in your stores? If it’s the latter, make sure your referral platform can distribute barcodes or QR codes and reconcile instore redemptions with the original referrer. It’s not as obvious as it might seem. 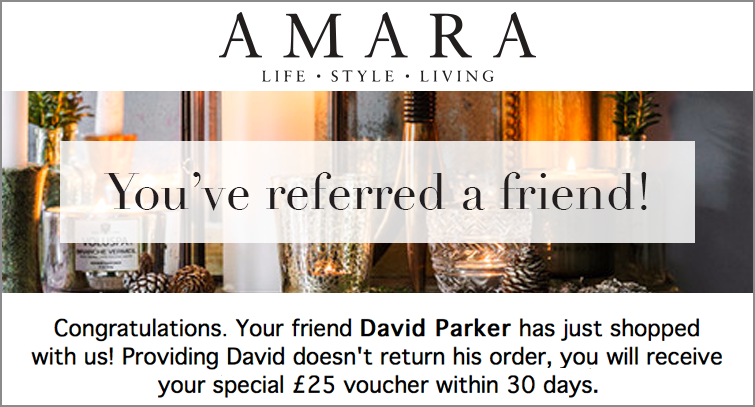 In in ideal world, every brand would reward every referrer the moment their friend shops. But what if that friend cancels their purchase? Or returns their goods? What if the friend’s credit check isn’t approved, or they don’t meet other mandatory criteria?While it’s best practice to inform referrers that they’ve successfully introduced a friend, it’s also best practice to hold back the delivery of their rewards until all the terms and conditions of your referral programme are met. If you can use a referral platform that automates this, so much the better. Sometimes, there’s a balance to be struck. Some retailers have extremely generous returns windows – often running to many months. In these cases, it’s unwise to make referrers wait too long for their rewards: they’re certainly not going to refer further friends in the interim. Instead, such brands tend to give the benefit of the doubt and issue rewards once the friends’ products have shipped, all the while closely monitoring any adverse behaviour and adjusting their lead times accordingly. 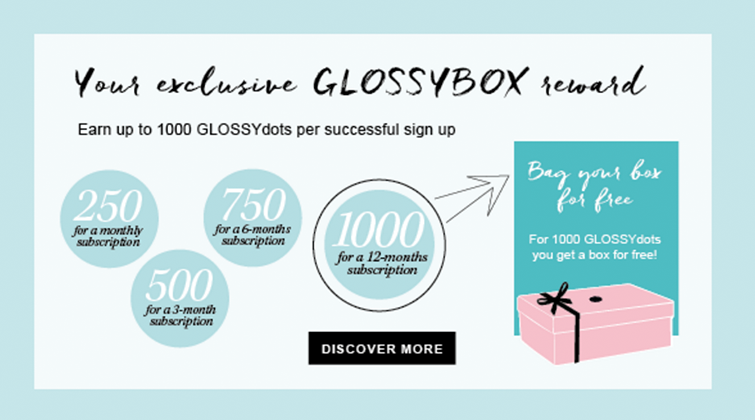 Other brands may require tenure-based rewards and incentives – for example where paid subscriptions only kick in after a certain time. Consider an online streaming service offering a month’s free trial: the financials simply wouldn’t stack up if they were to offer rewards and incentives immediately following the friend’s sign-up. Instead, the rewards and incentives should only be sent out once that free trial expires and the customer rolls into an ongoing contract. One referral is good, but many referrals are better. 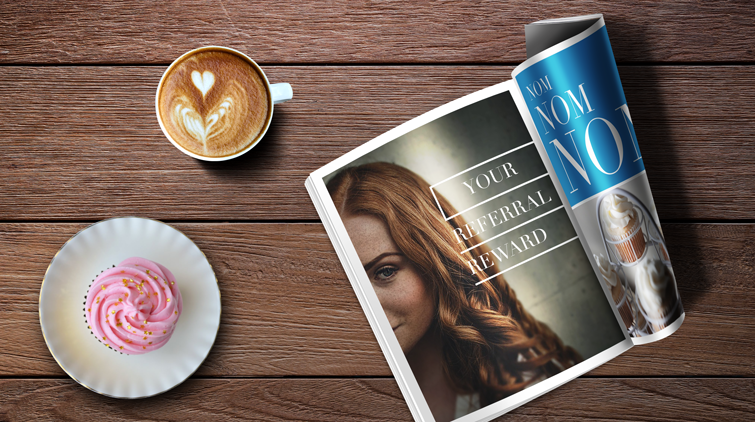 So, sometimes, it pays to hold back any rewards until two or more referrals have been made. Alternatively, you can experiment with tiered rewards where the more friends a customer refers, the better the reward they’ll earn. Similarly, by using leaderboards, extra-special rewards can be offered to customers who make more referrals than anyone else within a set window of time. Different rewards can be distributed according to the activity the friend undertakes, or the value or type of product they purchase. For example, an insurance company might offer an initial reward when a friend takes out contents cover, but another reward should they later take out vehicle insurance. This motivates the original referrer not only to introduce their friends but continually to upsell them on additional products. Don’t forget to work with experts. 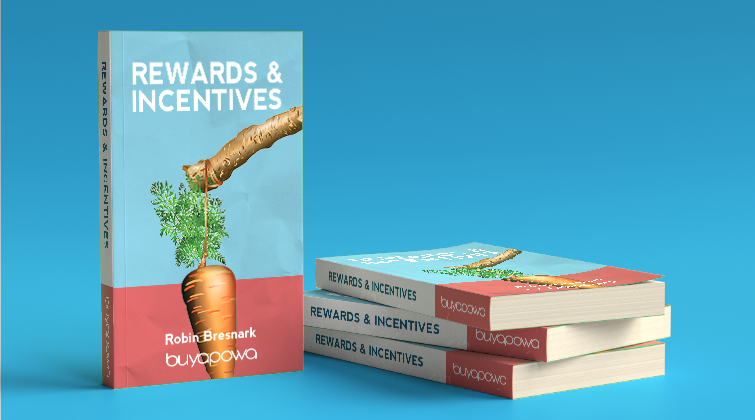 Understanding the full nuance of rewards and incentives isn’t something you’ll achieve overnight, so seek out people who’ve worked with customers like yours, in a sector like yours, and get a head-start from the get-go. No names, but this would be a very good place to start.